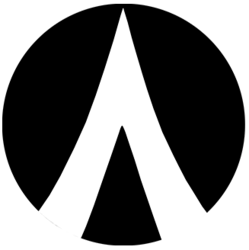 Dentacoin (DCN) - Events, Price, Market Cap, Supply, Exchanges and more! 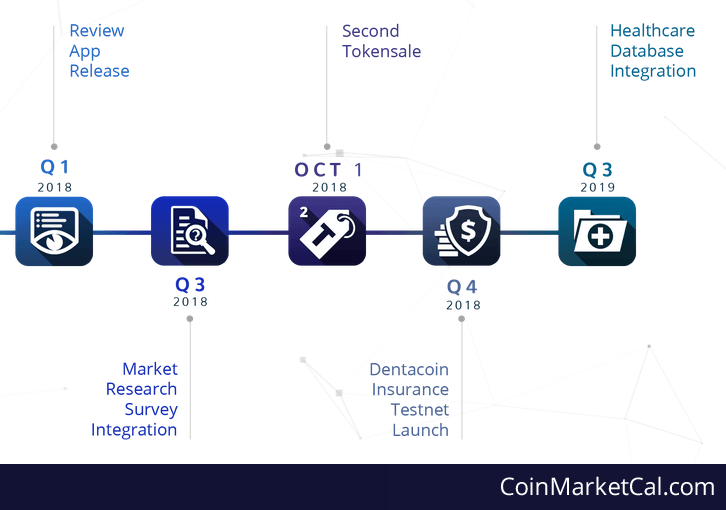 Dentacoin is a blockchain developed for the dental industry. It has as goal to improve dental care and to make it more affordable for everyone all over the world. 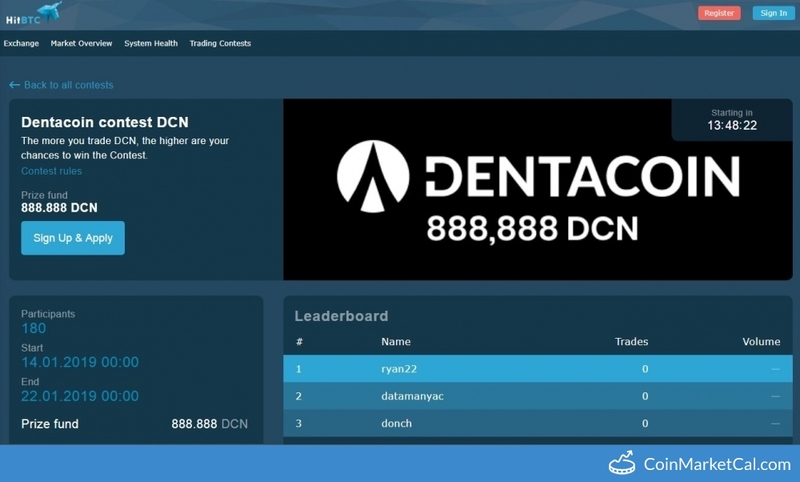 Dentacoin is built on the Ethereum blockchain and can be used as a trading platform for dental products, materials and equipment. 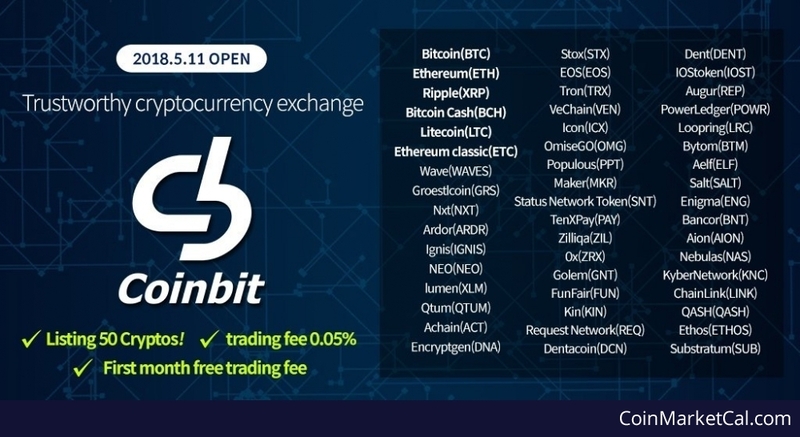 DCN trading contest on HitBTC from Jan 14 - Jan 22. 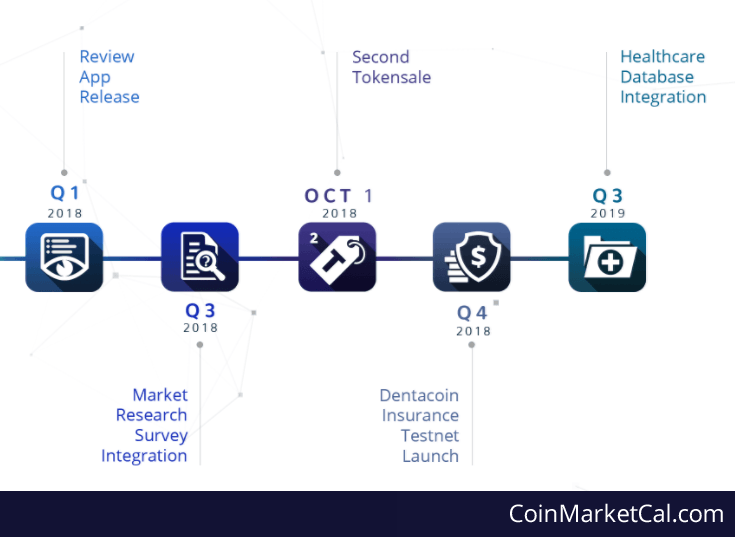 Q4 - 2018 - Dentacoin will release the Insurance Testnet. We are thrilled to announce that as of September 17 Dentacoin will be listed on OEX. 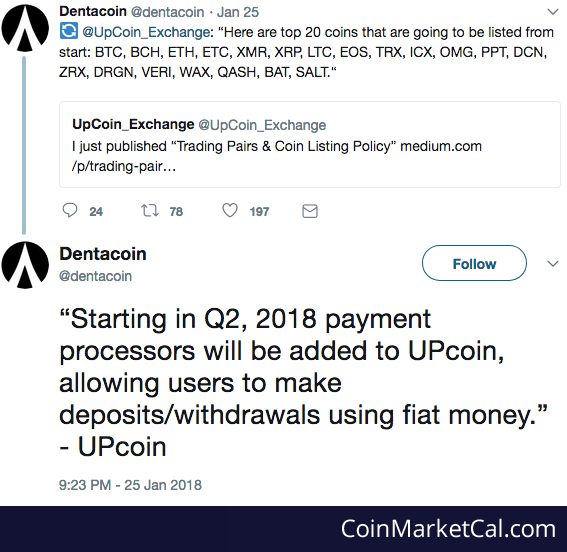 Starting in Q2, 2018 payment processors will be added to UPcoin, allowing users to make deposits/withdrawals using fiat money.” - UPcoin. 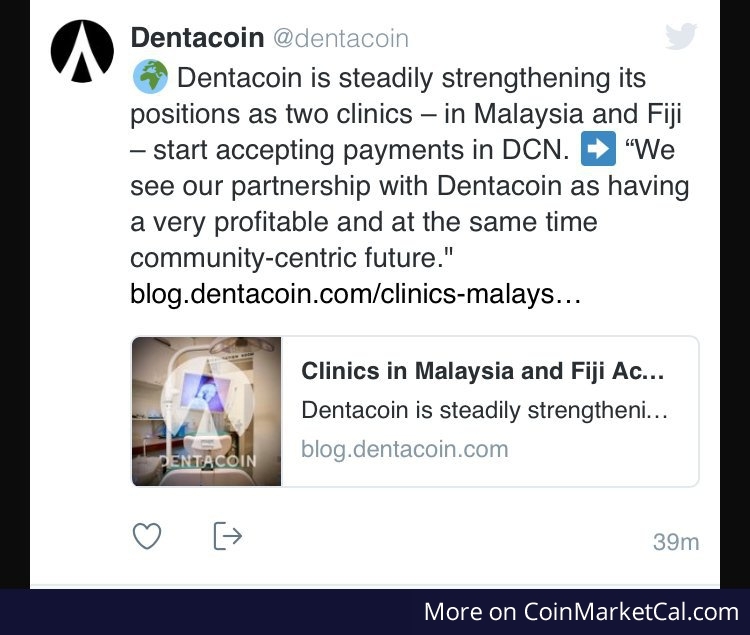 Dentacoin is steadily strengthening its positions as two clinics – in Malaysia and Fiji – start accepting payments in DCN.